We have this game, Munchkin Legends. We think it's pretty great, and our fans seem to like it, so we made a deluxe version that has all sorts of goodies in it: a board, pawns, even a copy of Munchkin Legends 2 -- Faun and Games. It's really everything you need to stomp mythical monsters and take their hard-earned loot from their twitching fingers. Where can you get it, you ask? Well, Barnes & Noble is going to have copies of it this month, so that's a good place to start. Check out the press release for more info. But we're not stopping there. 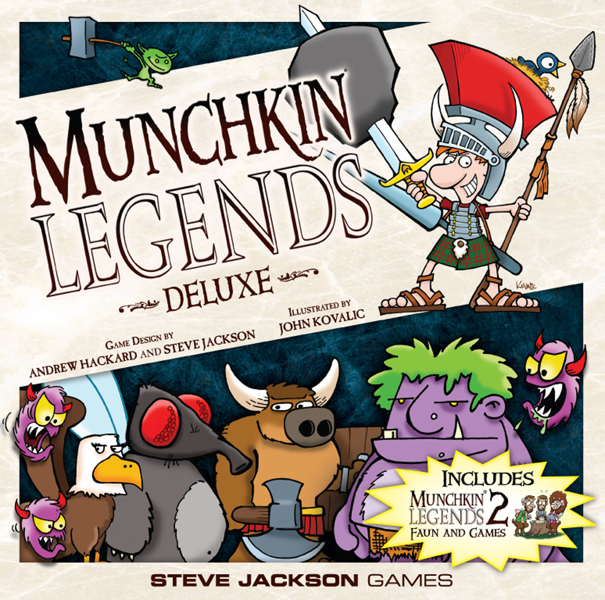 A month later, in December, Munchkin Legends Deluxe will show up at your friendly local gaming store, too! We want to make sure that everyone who wants this game can get it, so we're making it widely available. Enjoy!